Get a sneak peek of our guide before it comes back from the printer. Need a guide? Contact us and we'll send one to you. It's time to celebrate spring with a traditional egg hunt for kids in the Big Foot area. The hunt is sponsored by the Village of Fontana, Big Foot Recreation District, Dean's Foods and The Abbey Resort. Create a 16"x20" acrylic pattern painting to keep for yourself or give as a gift. 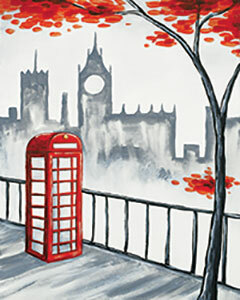 Using simple brush-strokes, follow the steps exactly or add your own creative touch. 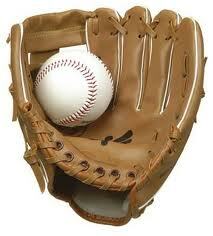 Designed for ALL skill levels, from first-time beginner to advanced. All supplies provided. Victorians embraced death as a cause for elaborate ritual. During this era (1876 – 1915) the ritual of death became increasingly sophisticated. This program will feature a presentation on Victorian funeral and mourning customs by Stephen Person, a recently retired funeral director. The best way to stay motivated is to challenge yourself whether it’s at the gym, outside, or your home. Join anytime. 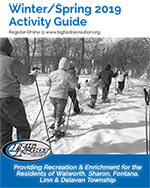 All you have to do is register, download the mileage log or pick it up at the Recreation Office, and start being active! Once you reach 100 miles, you earn a Long Sleeve T-shirt! Tree climbing is a great way to spend time in nature, get exercise, and have fun! 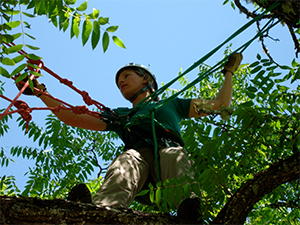 After a how-to and safety tutorial, climbers use ropes and harnesses to climb into the towering trees. Once you’re there, you can sit or stand on the branches, swing or hang upside down!